Key Largo Snorkeling Tours to John Pennekamp Coral Reef Park, also known as the National Marine Sanctuary and Christ of Abyss statue - Snorkel with Sundiver Snorkel Tours in Key Largo, Florida. 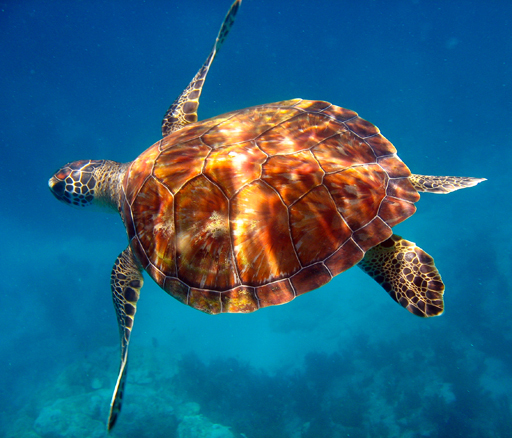 Welcome to the official website for Sundiver Snorkel Tours !! 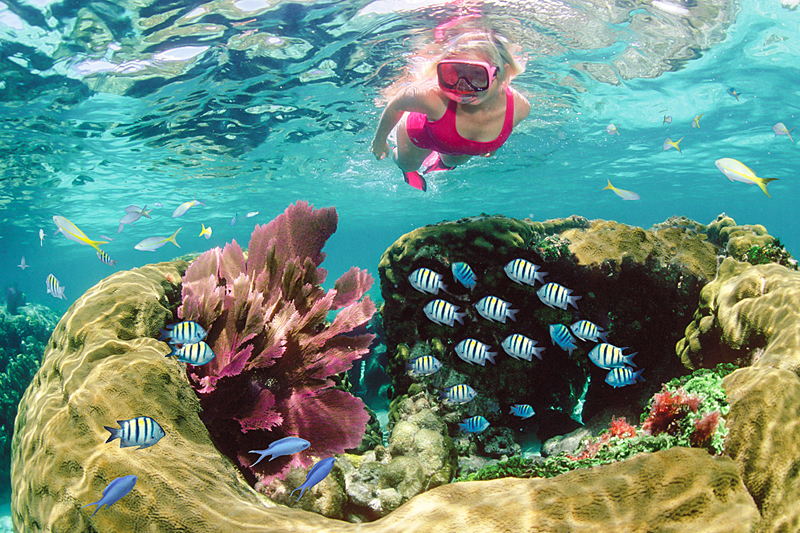 Key Largo's #1 family owned and operated Snorkel Tour since 1982 !! Located in Sunny Key Largo, Only 1 Hour drive from Miami, Florida. We also offer private snorkel charters and sunset cruises ! 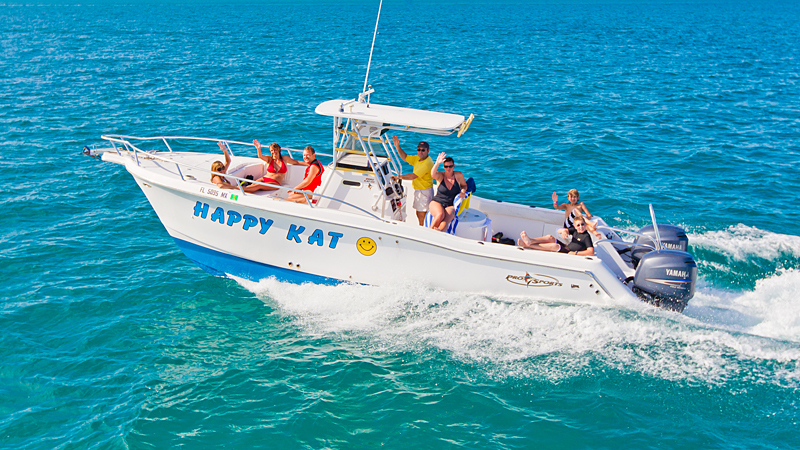 Sundiver offers custom snorkel charters and sunset snorkel cruises aboard the Happy Kat ! 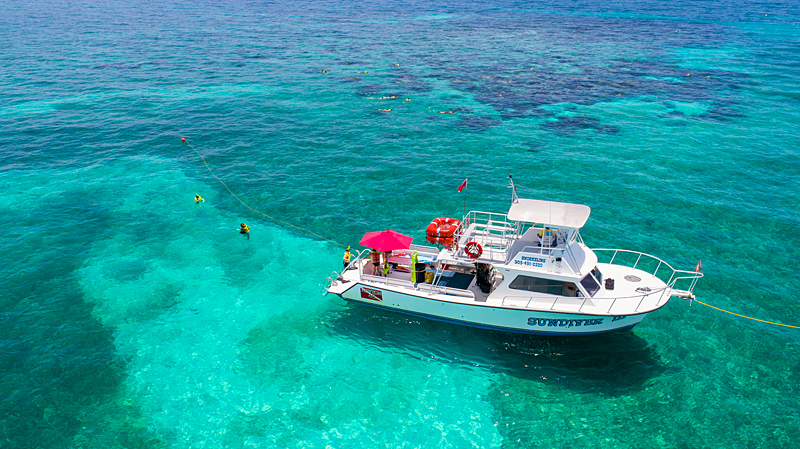 This fast and comfortable 30 foot catamaran has a capacity of six people and is available for snorkel charters and sunset snorkel cruises as well as tours to Christ of the Abyss statue.